The Alecto Initiative is Number 1?! 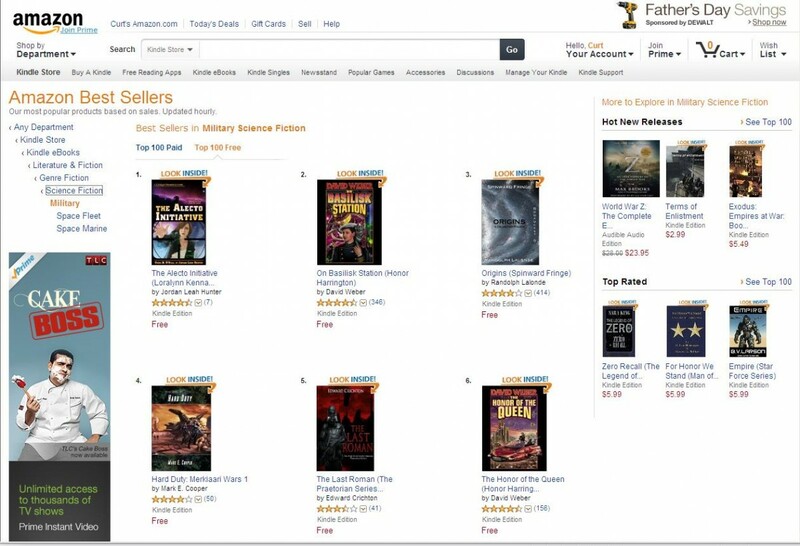 Okay, so maybe we’re bragging a little here (or a lot) but during our last free promo day on Amazon, Alecto hit Number 1 on Kindle Free best seller list for military science fiction. Yes, this is a fleeting bit of glory, but for two new authors it’s still a pretty big thrill. So we hope you will forgive us, just this once. ‹ We are giving away copies of The Alecto Initiative at Goodreads!